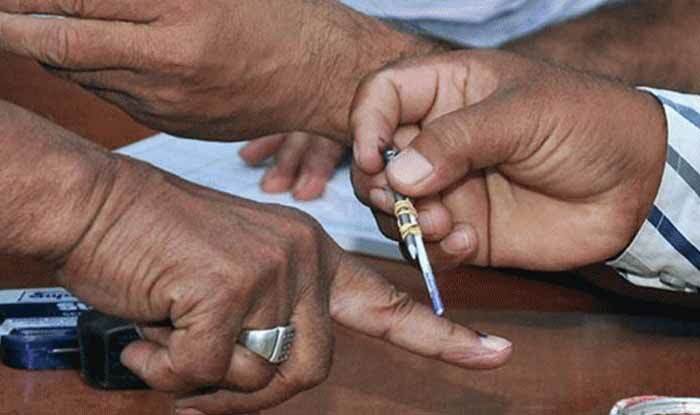 All 25 constituencies in Andhra Pradesh will go to Lok Sabha Elections 2019 in the first phase on April 11. The counting of votes will be held on May 23. 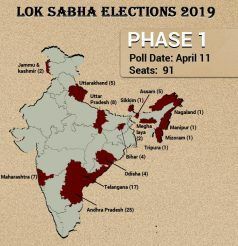 Andhra Pradesh Lok Sabha Elections 2019 is scheduled for April 11. The Araku parliamentary constituency in the state of Andhra Pradesh is reserved for candidates belonging to the scheduled tribes. As per Election Commission of India (ECI) data of 2009, it consists of 1,182,514 number of electorates in total. In 2014, the seat was won by Kothapalli Geetha of YSR Congress Party (YSRCP). She had defeated Telugu Desam Party’s (TDP) Gummidi Sandhyarani. For Lok Sabha Elections 2019, the Bharatiya Janata Party (BJP) has fielded KVV Satyanarayan Reddy, while Sruth V Devi will contest polls on the Congress ticket. The YSRCP and TDP have given tickets to Madhavi and Kishore Chandra Rao, respectively. The total number of electorates in the Srikakulam Lok Sabha Constituency, according to ECI 2009 is 1,226,125. The seat witnessed polls for the first time in 1952. In 2014, TDP’s Rammohan Naidu Kinjarapu won the polls from the seat against YSRC’s Reddy Shanthi. For Lok Sabha Elections 2019, the BJP and Congress have fielded Perla Sambamurti and Dola Jaganmohan Rao while, YSRCP and TDP have given tickets to Duvvada Srinivas and K Ram Mohan Naidu. The first election in Vizianagaram constituency was held in 2009. The ECI data recorded in 2009 suggests 1,323,238 as the total electorate count in the Lok Sabha constituency. In 2014, Ashok Gajapathi Raju Pusapati of the TDP won the polls against YSRCP’s Venkata Swetha Chalapathi Kumara Krishna Rangarao Ravu. For Lok Sabha Elections 2019, the BJP and Congress have fielded P Sanyasi Raju and Yedla Adlraju, respectively. The YSRCP and TDP, on the other hand, have given tickets to Bellani Chandrasekhar and Ashok Gajapathi Raju. Visakhapatnam constituency is primarily a Congress vote-bank. The total number of electorate here is 1,387,482, as per ECI data (2009). In 2014, BJP’s Kambhampati Hari Babu had won the polls from this seat. He had defeated YSRC’s YS Vijayamma. For Lok Sabha Elections 2019, the BJP has fielded D Purandeshwari, while Ramana Kumari Pedada will contest on Congress ticket. The YSRC and TDP have fielded MVV Satyanarayana and MV Sribharat from the seat, respectively. Anakapalli has remained a Congress party stronghold from the beginning. It has a total of 1,331,695 electorates out of which 686,337 are females and 645,358 are males, suggests ECI 2009 data. The seat was won by Muttamsetti Srinivasa Rao (Avanthi) of the TDP in 2014 against YSRC’s Gudivada Amarnadh. For Lok Sabha Elections 2019, the BJP and Congress have fielded Dr Gandi Venkata Satyanarayana and Sreeram Murthy from the seat. They will contest against YSRC’s Dr Venkata Satyavathi and TDP’s Adari Anand.